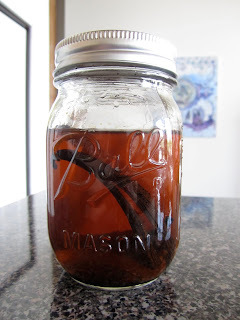 In one of my previous posts, I gave a recipe for making your own vanilla extract. 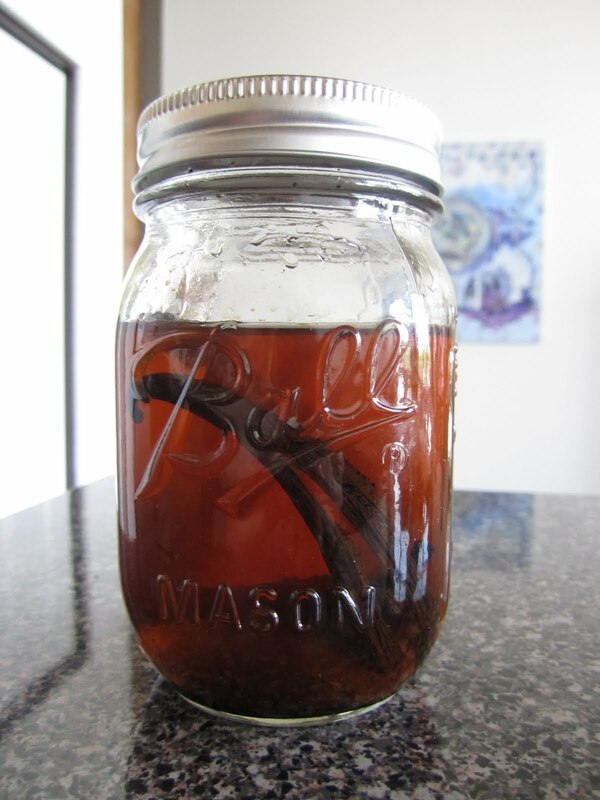 Here's what my extract looks like about 2 weeks later. At this point it is ready to be used, but it will still continue to get darker as time goes on. I've just been keeping it in a cool, dry place and shaking it up every couple of days. So simple!